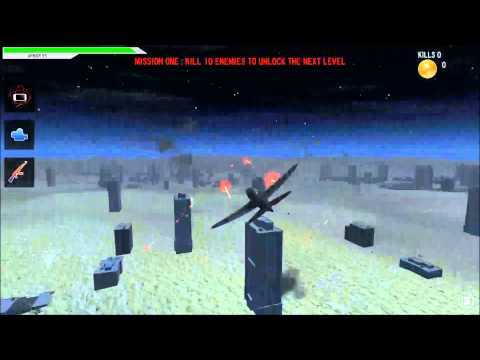 have fun with 3 levels of Flight Battle in different day moment with high pictures and gunships models resolution..
*easy and realistic control of the airplane , you can choose how to move the gunship (use the sensor phone gyroscope or just swipe you finger over the screen ) so that you hav a better flight simulation experience. *different camera gunship posiition: you can choose how to see your enemies during the flight battle by ajusting the angle of the camera. *armor bonus during the Airplane flight War. now just have fun and destroy your enemies before they do it !! ps :there is some ads in this game that can be easly ignored (this ads help us to create more free game for you ).